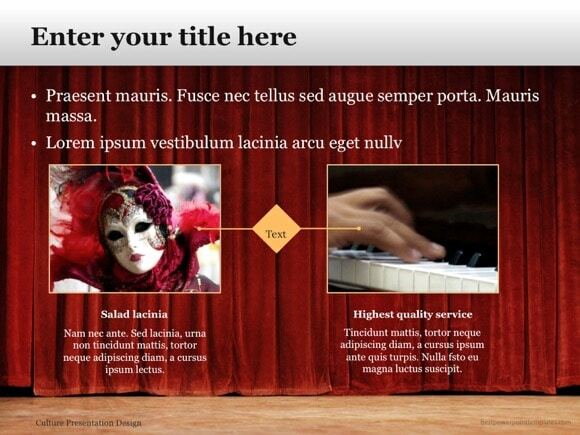 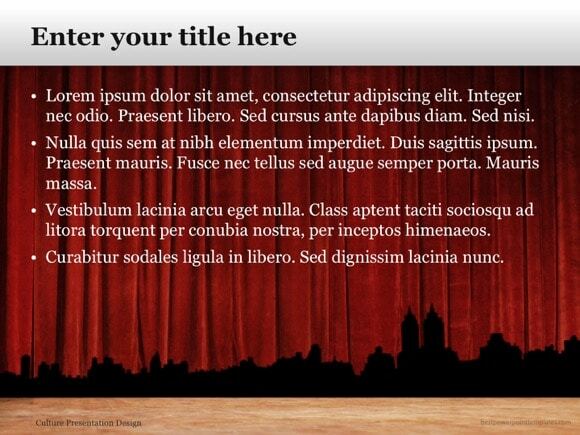 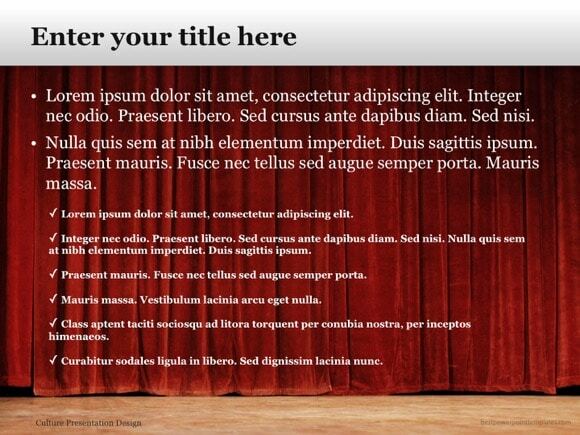 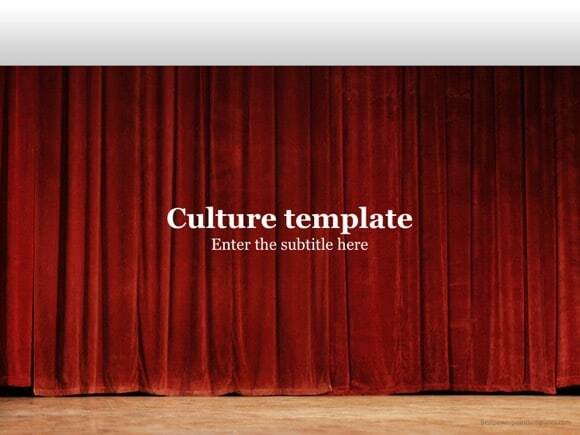 Culture PowerPoint template - FREE! 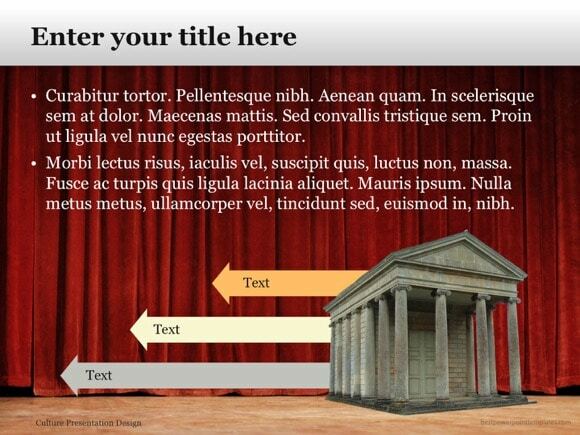 You can download this culture template and use it absolutely free as PowerPoint presentations of history. 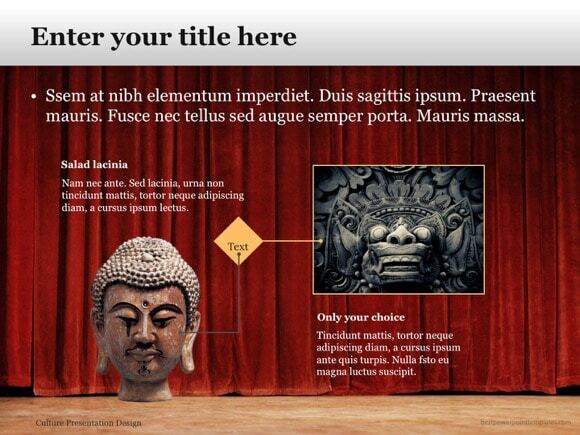 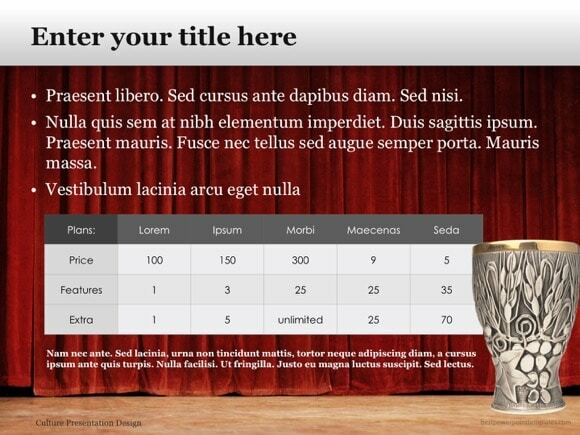 Antiques or Culture topics is perfect for this template. 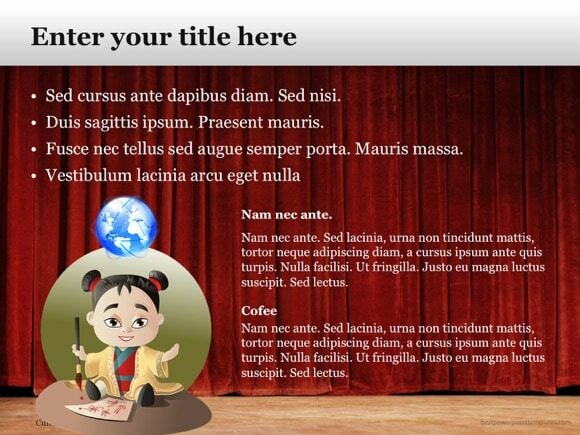 The culture PowerPoint template with red curtain background can be freely downloaded and if you want other similar PowerPoint templates then you should know that we have many available and free on this site.